I’m a day late on my post because I spent Friday evening thrift shopping, and Friday night working on projects with a friend. It was a stressful week and I needed a little shopping therapy so I hit my local thrift store to browse for pretty little things to scrub up and give some love to. Other people’s junk always makes me happy. (I dropped off a box to donate in the process). Here’s my $12.50 haul. 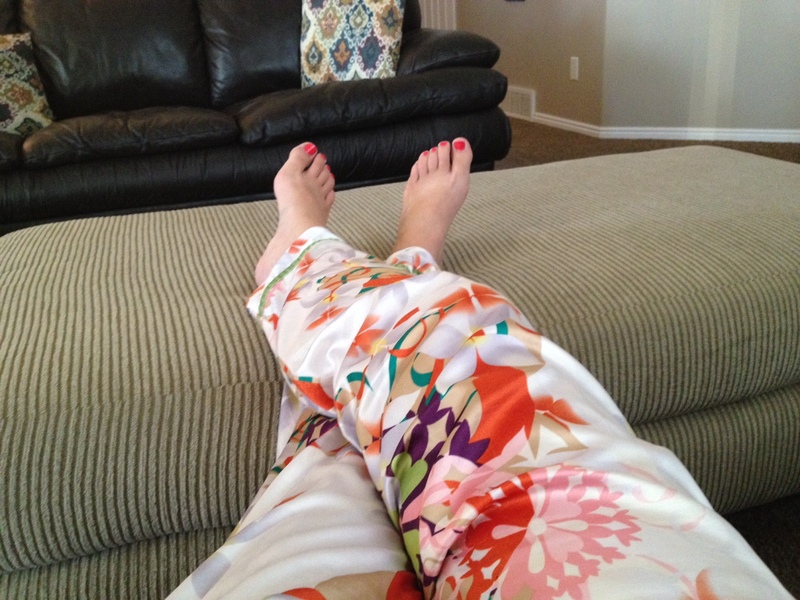 These pretty silk pj pants are my favorite find in a long time! 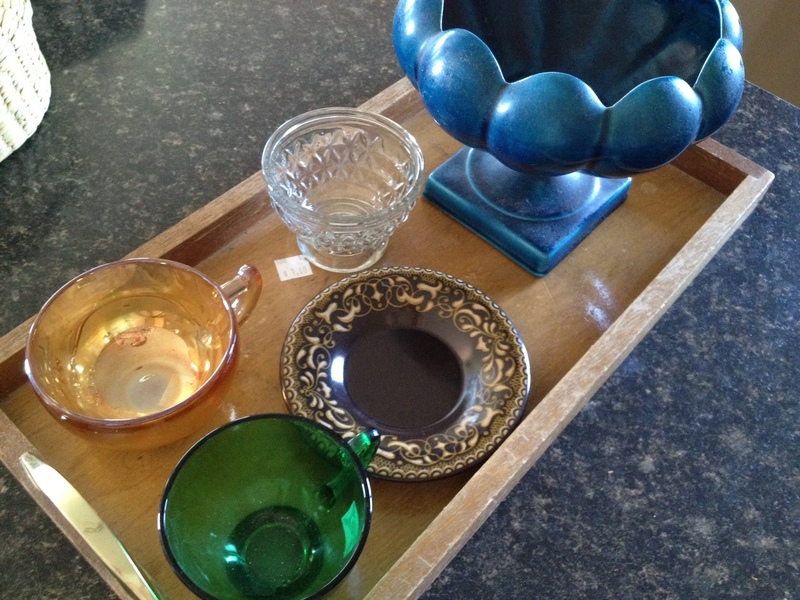 These pretty tea cups will be used to organize jewelry in my dresser drawer. I always look for colored glass. The tray was $1 and I’m going to paint it and use it to corral remotes in the living room. The blue pot was another favorite find. I want to plant a small succulent garden in it. 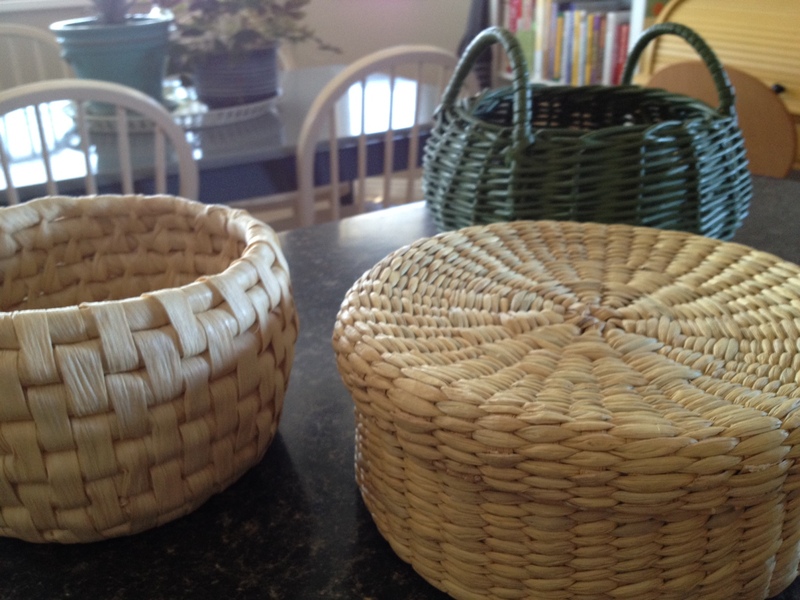 These baskets were $.50 and there were oodles to pick from. I grabbed a few with nice shapes and I plan to spray paint them with a metallic paint. I also grabbed a couple tiny frames to paint. Never buy frames 8×10 or smaller without hitting a thrift store first – they are practically a dime a dozen! There you have it! These items will probably serve as some of my future Free Friday projects as a spruce them up. 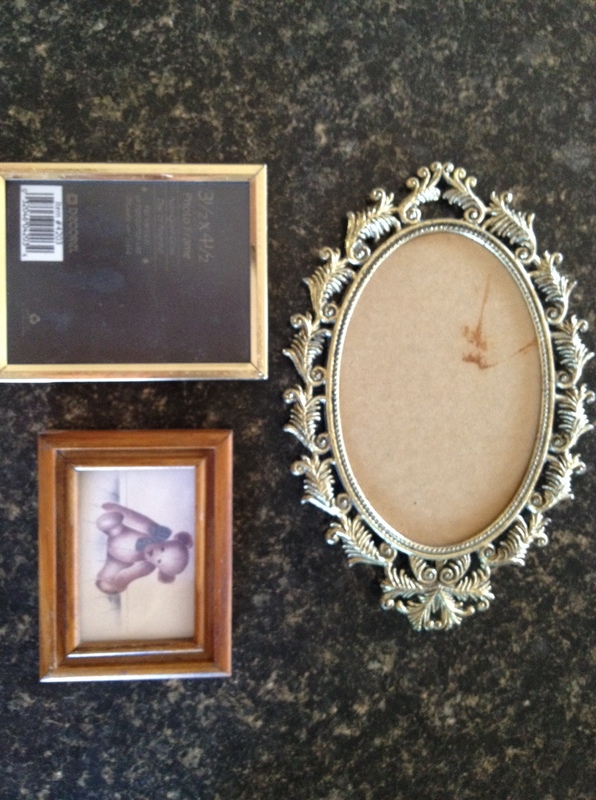 what a cool, ornate gold frame you found! And, I really like the blue pedestal bowl- it might look cool spray painted in a metallic color, but I think the blue is great as is!